Desalination of seawater or brackish water is increasingly being considered or adopted around the world in areas where demand has been increasing beyond sustainable supply, where water sources are overdrawn or where climate change is making some sources unreliable. 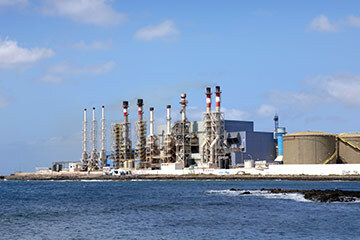 Desalination is a method of refining seawater, river water, brackish water and waste water, which is turned into potable quality water or industrial usable water. 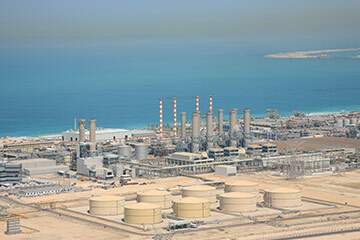 A desalination plant essentially separates saline water into two streams: one with a low concentration of dissolved salts (the fresh water stream) and the other containing the remaining dissolved salts (the concentrate or brine stream). A number of techniques can be used for desalination, as the thermal technologies based on the evaporation of the seawater or reverse osmosis based on the filtration of the seawater. Some hybrid technologies mixing the thermal process and reverse osmosis have also been developed in the recent years. Thermal technologies such as Multi-Effect Distillation (MED) or Multi-Stage Flash (MSF) use welded tubes in condensers, heaters or evaporators which must be fabricated from a material that is resistant to seawater corrosion and erosion at ambient and high temperature. NEOTISS supplies titanium welded tubes which meet the most stringent criteria required for the desalination process. Titanium resists chloride ion attacks and avoids salt accumulation in the tubing: any residue is flushed away with the sea water. In addition to low maintenance, the combination of its high mechanical characteristics with low weight density and its corrosion resistant properties makes titanium a very competitive option in desalination heat exchangers thanks to a very thin welded tube design. Titanium is used extensively in several installations in the Middle East and North African regions with excellent operational results. We can supply substantial volumes for any major desalination project thanks to our high manufacturing capacities and secured access to superior quality titanium strip. Our many years of experience and our advanced welding technology allow us to manufacture high quality tubes in every type of stainless steel specified above.